General Zod (full name Dru-Zod) is a fictional character who appears in comic books published by DC Comics, a supervillain who is one of Superman's more-prominent enemies. The character first appeared in Adventure Comics #283 (April 1961), and was created by Robert Bernstein and George Papp. In the motion pictures Superman: The Movie (1978) and Superman II (1980), Zod is portrayed by British actor Terence Stamp; the character is the principal villain in the latter film. British film magazine Total Film ranked Stamp's version of Zod as #32 on their "Top 50 Greatest Villains Of All Time" list in 2007. Pop-culture website IGN.com also ranked the General as #30 on their list of the "Top 100 Comic Book Villains", asserting that "Stamp is Zod" (emphasis in original). Unusual Features: Zod bears a prisoner identification mark as a brand across his throat. Origin: Born on the planet Krypton to a long line of distinguished Military Guild members, and later exiled to the Phantom Zone for acts of sedition. Solar Energy Absorption: Zod, like all Kryptonians, obtains his superhuman powers and abilities by absorbing the radiation emitted from Earth's yellow sun, and then converts its energy to his abilities, as he body acts a solar battery for such energy, effectively making him a god among men. 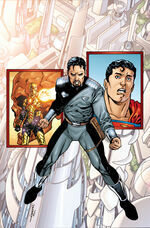 Superhuman Strength: Dru-Zod, also known as General Zod, is an extremely powerful alien hailing from planet Krypton. With his strength, Zod can easily overpower and kill humans and most galactic beings, and as such, he can bend and break through reinforced steel, crush wood panels, and can lift extremely heavy objects and uproot and even decimate full-sized buildings and other structures with his might. Invulnerability: Zod is resistant to all forms of physical and mental types of harm, and as such, humans can't hurt him, bullets bounce off him, rockets, bombs and lasers can't even leave a mark on him, high-voltage energy emissions (beams) can't penetrate through him, and is immune to all earthly diseases and viruses, and he can only be harmed by other high-tier cosmic beings like Superman, and magic can harm him, and fragments from his home world called Kryptonite can cause him great pain and prolonged exposure to it can kill him. Superhuman Stamina: Zod can maintain continuous movement and can exercise for unlimited periods of time without ever getting weary or tired in the process. 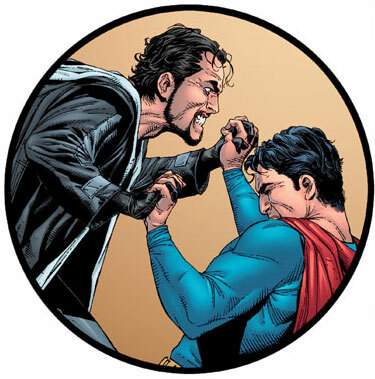 With that said, Zod can take part in superpowerd battle sequences probably for months on end. Superhuman Speed: Zod can exercise and or move at incredible speeds that greatly exceeds the sound barrier, and has the potential to move at speeds greater than the speed of light. Telescopic Vision: Zod can, using the muscles in his eyes, see objects and people from vast distances away, more specifically, from at least twenty yards away, without damaging or straining his eyes. X-Ray Vision: Zod can mentally break down the polymers in objects and even organisms, allowing him to see right through the object or person, and as such, he can see through anything besides lead. Microscopic Vision: Zod can, by using the the tight, firm muscles composed in his eyes, see residues, small marks, bacterias and structures of viruses, and even cells that are inside interior complexion bodies, without causing any damage to his eyes. Kryptonite: Since the destruction of Krypton, its remains (rendered radioactive by the explosion) have been spreading throughout the universe as kryptonite, a crystalline substance whose specific radiation is lethal to Kryptonians native to this reality. Historically, Kryptonite exists in variant forms which can affect Zod in a number of different ways (See main article for more details concerning the different varieties of Kryptonite).